As you all know, The InoCoin Platform is first, and foremost a crowdfunding platform and as such is meant for helping young, innovative projects secure the funding that they need. Because of that fact,today, we would like to discuss with you the importance and purpose of crowdfunding in the digital age, as well as its pros and cons. So first of all, what actually is crowdfunding? Crowdfunding is a means of finding necessary funding, support and awareness for your project from a wide selection of investors. It aids in raising funds for bright ideas, which usually wouldn’t be possible. Any project can be a cause for crowdfunding through our platform, it doesn’t matter which sector it belongs to (health, IT, sports, finance, etc), just take a look the projects on our platform and you will see how diverse they are. 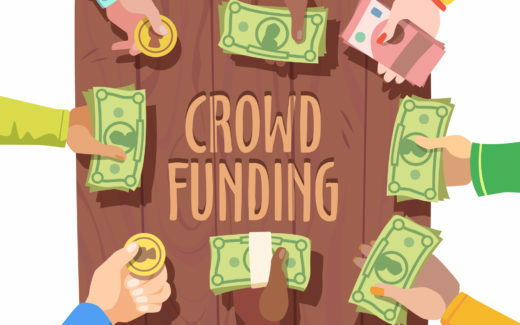 In other words, crowdfunding is a means of funding which allows individuals to turn their innovative, bright ideas into reality with the focused effort and power of the crowd. It is a valuable method that aids in securing funds with the collective effort of family, friends, colleagues and others for a particular cause. In other words, it is a collective effort of both your immediate circle as well as your outer one. The reach of social media leverages the network for a far larger audience and reach. Okay, so now we know what crowdfunding is. But the question still remains: What makes it special? To better understand this, let’s talk about the pros and cons of crowdfunding. Crowdfunding offers you a chance to determine the possible interest and reactions of your target audience. Anyone can launch a crowdfunding campaign on our platform. You just have to have the right mindset and the idea, leave the rest to the investors. If you fail to reach your funding target, no one is stopping you from making improvements, adjusting your product and trying again. Now that we have examined the pros, we should talk about the cons of crowdfunding. Crowd funding concept. Different people giving cash and coins money on a crowd funded project. Flat style vector illustration clipart. Crowdfunding through any platform is public, thus, anyone can steal your project idea. It is, because of that, very important to have everything planned in detail beforehand, as you will already have an edge, unlike potential thieves. You are competing with different projects and only the best will receive funding (this is actually a pro for the consumers, as they will receive only the best products). Well, as we can clearly see the PROS greatly outweigh the CONS in our analysis. The CONS of crowdfunding merely tell us that anyone looking to apply for funding needs to be a serious project right from the start. Without proper preparation, you will surely fail. That includes having a clear business plan, marketing strategy, growth analysis, etc. Only the best projects on our platform will receive the funding and that competition between our projects, in turn, makes every project better. In our next article, we will be giving you detailed advice on how to make your crowdfunding campaign better, thus helping you have a better chance in securing the funds you so desperately need. So be sure to stay tuned to our blog and other social media channels for valuable advice.